The team from Taiwan has won the third Porsche Golf Cup World Final, ahead of defending champions South Korea and Japan. 77 amateur golfers from 16 countries teed off at the two-day tournament, which took place at Arabella Golf Son Vida and Club de Golf Alcanada. In the singles competitions (gross), the ladies title went to Germany’s Laura Oker, while her compatriot Gunar Petersen emerged triumphant in the men’s class. Despite their best efforts, none of the players managed to drive away in the Porsche 718 Boxster S, which was this year’s hole-in-one prize. In total, more than 8,300 Porsche customers around the world took part in 152 qualifying tournaments ahead of this year’s World Final – a new record. The standard of play at the Porsche Golf Cup was underlined by the fact that 40 percent of the field in Majorca had single-figure handicaps, including no fewer than four players with a plus handicap. However, before the sporting action got underway, the participants and their guests had chance to sample the Majorcan hospitality. 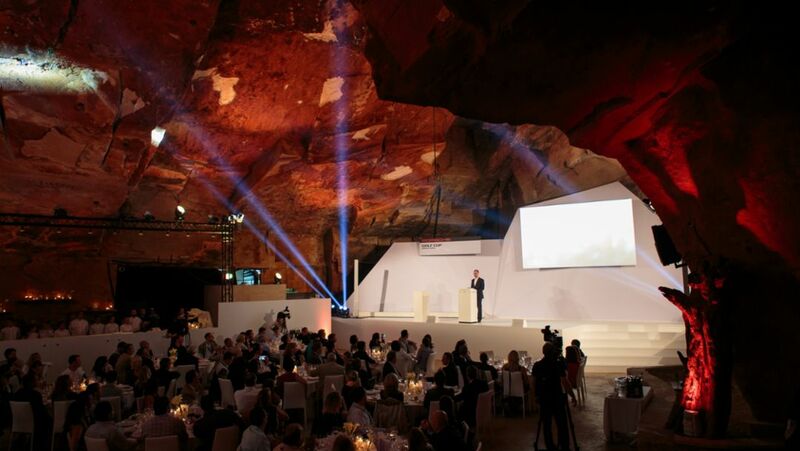 All the teams were presented in a ceremony at the welcome evening, which took place in a former sandstone quarry. The team from South Korea returned the trophy it won last year. The evening formed an extremely atmospheric start to the tournament, and was followed the next day by an exclusive dinner at the “Coast” restaurant, which was designed by star designer Phillipe Starck and is located in the chic marina of Port Adriano. The participants also had the opportunity to take part in the Porsche Driving Experience, where they were able to test drive all the latest Porsche models, including the new 718 Boxster. The Porsche Golf Cup was first held in 1988, since when it has become one of the company’s most successful international customer events. It is organised by Porsche centres and Porsche sales companies. The Porsche Golf Cup World Final will be played for the third time in 2016, with Majorca providing the venue for the third time. Defending champion in the Nations Cup is the team from South Korea. As well as the Porsche Golf Cup, Porsche AG has also been involved in professional golf since 2015: as title partner of the Porsche European Open. Following the successful debut of this European Tour event, this year’s tournament (22nd to 25th September) is again expected to attract a host of world-class players – led by two-time major winner Martin Kaymer – to the venue in Bad Griesbach, Bavaria. An interview with Julia Görges just before the start of the Porsche Tennis Grand Prix.